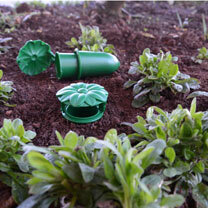 Lay this multi-pack of Slug Inn traps around your flower patch or veg plot, and bait with beer or slug bait. They'll protect your plants without having to resort to dangerous chemicals. Inner sleeve pulls out for easy disposal of your catch! Protect precious plants with a Slug Inn.